Creating the “Living donor kidney transplant” involved one of the largest teams that I have worked with so far. It was our team’s mission to drive home the fact that getting a living donor kidney transplant is one of the best treatment options for patients with end-stage renal (kidney) failure. TVASurg (a team specialized in creating surgical procedure animations) provided valuable feedback and helped me create effective visual metaphors for this complex and sensitive subject matter. Dr. Ian McGilvary, Dr. Anand Ghanekar and Dr. Joseph Kim went over the medical accuracy of the animation and the Patient and Family Education Department of University Health Network ensured that the script met the health literacy level of our audience (patients and family members). We went through several iterations before we finalized our storyboard. Our team thought a great way to tell the story was to have the main character in the animation, the patient, ask questions in a “myth vs. fact” format. I presented the video during the Multi Organ Transplant Rounds at Toronto General Hospital when the animatic was finished (a rough cut of the animation). The clinicians at the rounds consisted of both surgeons and nurses. During the rounds, they were able to voice what content they felt was important to add to the animation. Although we did not have the budget to include patients in the pre-production process of this project, the clinicians were able to provide some insight based on their daily interactions with patients. With each project, I try to tackle a new technical challenge. This was my first time doing lip sync-ing character animation. If you have a subscription to lynda.com, you should definitely check out the course “2D Character Animation” with George Maestri. 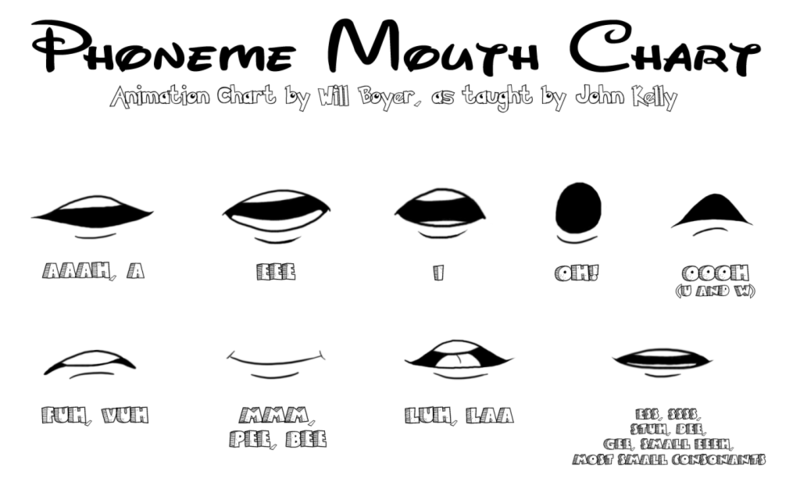 Here is a great reference I found for different mouth shapes for dialogue animation. Take a look at the final animation!